TRIANGLE OF POWER: Today, three major forces collude to control the world - Intelligence, Mega-Criminal Enterprise, and the Power Elite. They are related to one another in draconian ways. They are GOD - Gold, Oil and Drugs. Thus, we are fighting for GOD. "In GOD We Trust." But it's too late to trust a god whose profitable name is WAR. SPY 1099 teams -- "Spy in the Box" -- work for all factions from governments to transnational corpoglomerates and mega-criminal enterprise. All are trumped by clandestine machinations of the Power Elite and their hidden agenda. Part 1 - TWISTED DESCENT: Spy 1099 OIL -- "Lions for Lambs" (2007) meets "The Recruit" (2003) at the BP oil rig blow out. A disaster has occured with international ramifications, and 'someone' has to pay. A stand-alone film that can be franchised into a SPY 1099 trilogy. An international thriller based on Outsourcing in today's transnational Intelligence Community. The SPY 1099 team fights corrupt governments and the mysterious G.O.D.S. in the Caribbean to keep cheap oil flowing. Opening credits takes us in a slow slide down the crooked shaft of a newly-drilled oil well, which makes a TWISTED DESCENT (Horizontal Well Drilling) through the ocean floor to the buried treasure of light oil, foreshadowing our own "twisted descent" into the underworld of our protagonists, the Spy 1099 group. Hired for 'risk management' of the Cuba-Haiti oil exploration, they soon discover the main risk is the G.O.D.S. at the top of the food-chain -- their own employers' clandestine involvement in global drugs, money laundering, and black gold trade. Rival factions and governments collude in transnational criminal enterprise. Tricksters trick tricksters and Watchers watch the Watchers. Each struggles with conflicting moral problems. Pressured from all sides by conflicting desires, loyalties in the "Spy in the Box" group are compromised and divided in the process. Heroes and opponents do an intricate dance, sometimes switching roles with 7-10 major reveals. A complex sequence of tricks surprises not only the opposition, but also the audience. Spy games and operations are outsourced to private contractors, who subcontract more independent contractors. They have penetrated the CIA and the moonlighting CIA has penetrated them, changing the Rules of Engagement. Multinational corporation and crime organizations lurk in the shadows and in the well-lit haunts of the Power Elite. Their operations are clandestine, but we have "a need to know" more. Sometimes the relatively unbelievable turns out to be true. The SPY 1099 team battles rival factions, seemingly against all odds. Perhaps as much as 50% of CIA work is outsourced. In 2010, 188,000 contractors outnumber full-time workers at Homeland Security. Congress calls it "unacceptable, untenable and unsustainable." But it is a runaway trend impossible to halt. Private security contractors also backup the military and US overseas interests. Haiti and Cuba is the setting; oil is the prize. Since the transfer of power from Fidel to Raúl Castro in 2006, Cuba has found new footing on the world stage. There is an expansion of Cuba’s financial and political ties with the European Union, Latin America, Russia, China, even Vietnam. A major oil find in Cuban waters subverts the old logic behind the U.S. embargo of Cuba. The Russians and Chinese are coming to search for oil in the Gulf less than 50 miles from Florida. The U.S. 4th Fleet has been reestablished. U.S. Navy ships, aircraft and submarines are operating in the U.S. Southern Command (SOUTHCOM) area of focus, which encompasses the Caribbean, and Central and South America and the surrounding waters. China is backing the widening of the Panama Canal for supertankers with capacity of a million barrels of crude oil and liquified natural gas. That, in turn, will open new routes whereby oil and mineral resources from West Africa can be taken directly to China -- deepening political bonds that Beijing has carefully fostered in that region. The same dynamic bolsters China's influence in the Caribbean, expected to develop as a storage hub for oil before it heads west through the canal and on to China. Economists at Goldman Sachs believe that the new canal could play a pivotal role in its Bric (Brazil, Russia, India, China) investment story -- as a channel more directly linking the Chinese and Brazilian markets. The Cold War has become a tightly wound COILED war - covert action for oil rights. FOR INFORMATION ONLY: This proprietary memorandum is informational in nature and relates to the packaging, production and distribution of the dramatic property PSYWAR CENTRAL: In the Tavistocks, written by Iona Miller and Charles W. Stone. It is for your confidential use and consideration only, and may not be reproduced, sold, or redistributed without explicit prior approval of TRUTH FOR REEL Productions. FOR INFORMATION ONLY: This proprietary memorandum is informational in nature and relates to the packaging, production and distribution of the dramatic property Grave Consequences, written by Iona Miller and Charles W. Stone. It is for your confidential use and consideration only, and may not be reproduced, sold, or redistributed without explicit prior approval of TRUTH FOR REEL Productions. Independent Feature Film - A high concept twist combining action adventure, suspense, and docudrama surrounding a failed false-flag attempt to drag the Cold War Superpowers into the Six-Day War. The covered-up incident – Operation Cyanide, an attack on the USS Liberty spy ship -- is a little-known milestone in history that nearly precipitated WWIII. This Covert Action led directly to escalation of Jihad and terrorism as well as increasing US involvement in the Middle East. It is a tale of collusion, betrayal and heroism that won the Medal of Honor. Like the Gulf of Tonkin and Maine incidents, false flag operations are used as pretext for shooting wars. But who today remembers the USS Liberty and its sacrificed crew? This based-on-fact film is a social issue picture, reflecting "the break up of consensual views of social reality" in a postmodern world. But, “Liberty” is always relevant. FOR INFORMATION ONLY: This proprietary memorandum is informational in nature and relates to the packaging, production and distribution of the dramatic property THE OSBORNE EFFECT written by Leutrell Osborne, Sr. It is for your confidential use and consideration only, and may not be reproduced, sold, or redistributed without explicit prior approval of TRUTH FOR REEL Productions and the TRIPLE E Enterprise. Spying is the act of obtaining information clandestinely. The term applies particularly to the covert act of collecting military, industrial, and political data about one nation for the benefit of another. In truth the majority of the information collected is not that ‘secret’ but often the interpretation of the synergism is. Espionage is defined as the practice of spying or the using of spies. The defensive side of intelligence activity, i.e., preventing another nation from gaining such information, is known as counterespionage. The world of ESPionage is all spooked up, in all ways that might apply. Many mages mixed dark ops with the dark arts long before CIA's "Weird Desk" and SRI and Ft. Meade remote viewers took the occult arts to new heights of diabolical application, including attempted psychic attacks and visualized heart attacks. There are indications MI5's Occult Bureau recruited from The Golden Dawn. Many mages, known and unknown to history, presaged the clairvoyants of Operation Grill Flame by centuries. 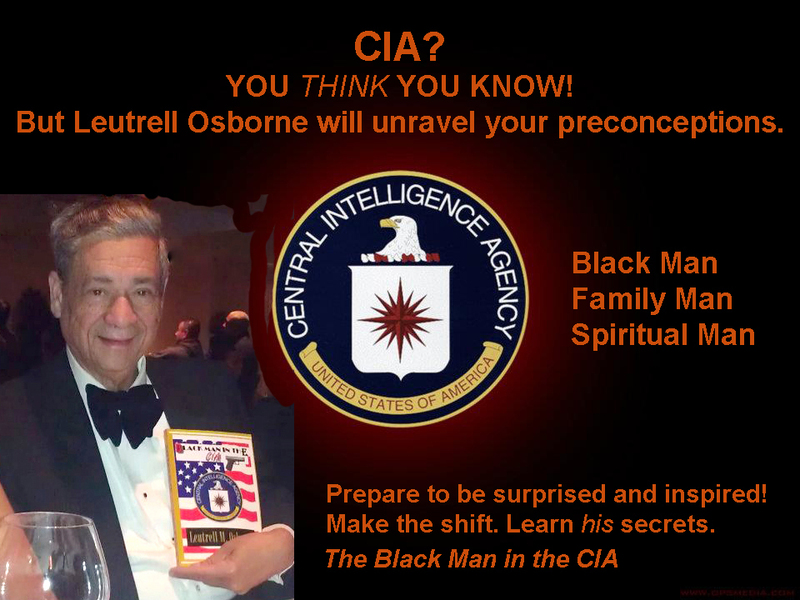 Paranormal ESPionage was an outgrowth of CIA's MK ULTRA mind control research. He who controls the paradigm controls the world. are adept at shifting perception and looking at the top down Big Picture. Many experts contend it is so…This version of his illustrious life is an uncollapsable probability cloud of fact and fantasy. Only his genius could not be concealed. A stealthy undercurrent of denial, disguise, deception, betrayal, spy networks and secret societies ran through Bacon's life, shaping him as he shaped his world with intelligence. 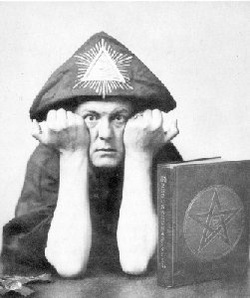 The language of the Occult is a hidden language. Bacon hid his dangerous political truth in cyphers learned from his mentors, Magus John Dee and Sir Francis Walsingham the Spymaster. For the illiterate he used the common visual code of graphic symbols and emblems. The love of his life, Marguerite, is concealed in The Sonnets, and his wit, family history, political and social commentary in the Plays. The Tempest is a portrait of his mentor, Dr. Dee.